Article and three photos published by Al Fanar on Oct. 29, 2013. 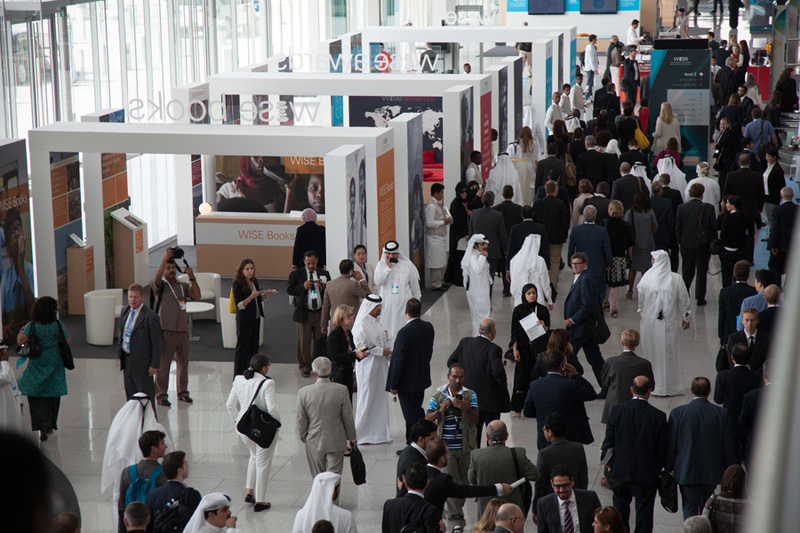 DOHA–More than 1,000 education enthusiasts from around the globe have descended here for the fifth annual World Innovation Summit for Education. 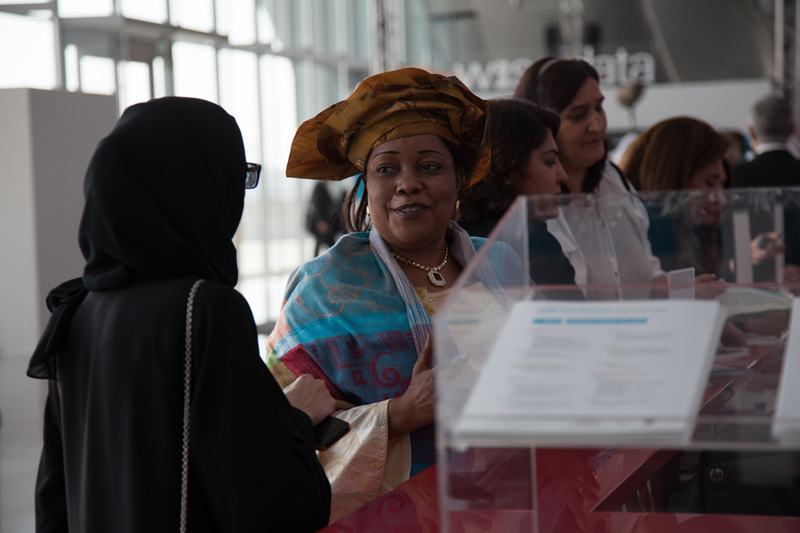 “Reinventing Education for Life” is the theme of this year’s three-day conference. Edgar Morin, French philosopher and author of Seven Complex Lessons in Education for the Future, tackled the topic today in a speech on how schools can shape students to become better human beings. He said schools are not teaching holistic curricula that can help students to develop empathy and richer personal visions. Many delegates seemed to share Morin’s perspective that a transformation is needed. A poll conducted earlier by WISE organizers showed 85 percent of delegates believe mass education systems must undergo radical changes to meet modern education needs. Speakers championed this message throughout the day’s sessions. Many said schools’ top priority should be to help students evolve into well-rounded individuals and to make them feel like they are integral members of their educational institutions. A writer for The Observer, in the United Kingdom, Yvonne Roberts, spoke on how rigid gender roles and stereotypes in British schools are preventing boys from pursuing higher education. Unless sexist constructions of masculinity are changed, she said, women would continue to outperform boys. This may lead to an increase in violence committed by resentful men against their more successful girlfriends and wives, she added. Mere Berryman, a researcher with Te Kotahitanga, a research and professional development program in New Zealand that works to stop underachievement among Maori students, reinforced other studies that have found that student involvement in education reform is critical. She said Maori students’ performance levels improved when students were asked directly what changes should be made to the curricula and how teachers could better engage them. How to better captivate student interest also was discussed in a panel discussion on education for science, technology, engineering and mathematics. A New York Times science writer and adjunct professor at Columbia University, Claudia Dreifus, said fewer university students are majoring in those subjects because of how the classes are taught. Among the reasons she listed: Most American universities are research universities and top professors do not make teaching undergraduate students a high priority. Also, she said, science courses have become the “castor oil of the curriculum” and students are starting to resent the pressure to perform in them. Science classes are also designed to produce future scientists, she said, not teach students an appreciation for science. Professors should try to foster an appreciation of science by including narratives and biographies about famous researchers, she added. A panelist on the same topic, Conrad Wolfram, of computerbasedmath.org, said student interest in math is low because they are unnecessarily forced to calculate equations by hand and aren’t taught how formulas can be applied in the real world. “If you remove the computer from the subject of maths, you will remove most of the context,” he said. In a plenary session, Yasar Jarrar of the consulting firm Bain & Company stoked controversy when he cited a United Kingdom study that said employers believe too many students are getting “useless degrees in non-serious subjects.” One delegate challenged him, explaining that the ‘useless degrees’ often include those known to increase students’ broader awareness, such as linguistic, gender and African American studies. Jarrar’s co-panelist, former vice-chancellor of the University of Cape Town Mamphela Ramphele, disagreed with the notion of ‘useless degrees.’ She said schools’ most important task is to teach students how to be moral individuals who can create better societies. Jarrar responded he was just quoting the study, and education institutions must pay attention to the needs of employers. A senior at Georgetown University School of Foreign Service in Qatar, Tala Hammash, would agree with Ramphele. She spoke on a panel on 21st century citizenship and says the most important education a student can receive is how to be a good global citizen. “Unless you’re aware of what happens around you, you can’t help yourself or your community,” she said. Too much education in the Middle East focuses on patriotism and nationalism, she added, and does not include enough critical thinking or attempts to understand other cultures and countries. 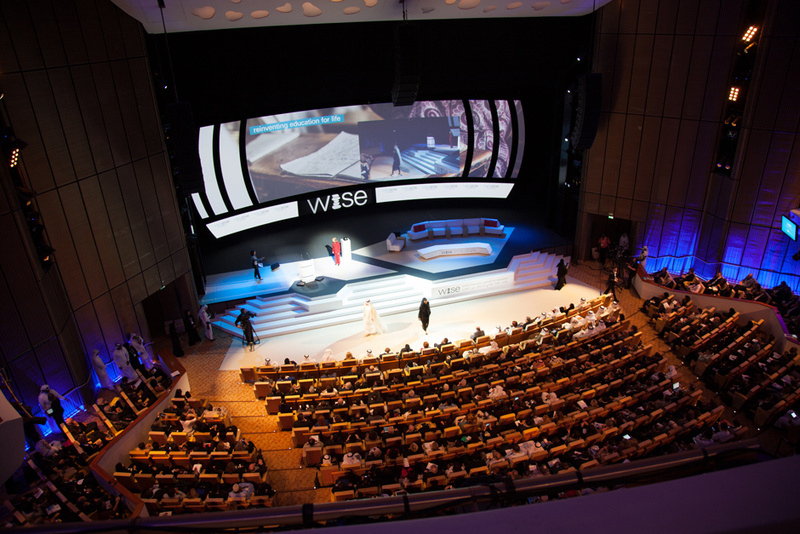 WISE runs until Oct. 31 at the Qatar National Convention Centre.